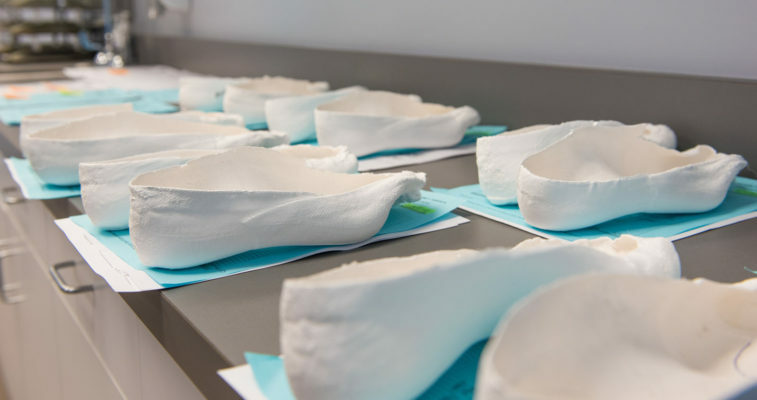 We offer the Newest Generation of Orthotic technology and have created the “ Bio-Orthotics ” A Biomechanical theory created by Dr. Fishman has resulted in the next generation of custom molded orthotics. This specialized technique involves individual foot and ankle mechanical evaluations separating each foot and ankle into a separate entity. As a result of Dr. Fishman’s casting technique there is a very minimal “ breaking in “ period resulting in rapid adaptation of the orthotic device and near instant relief of your foot ailments.